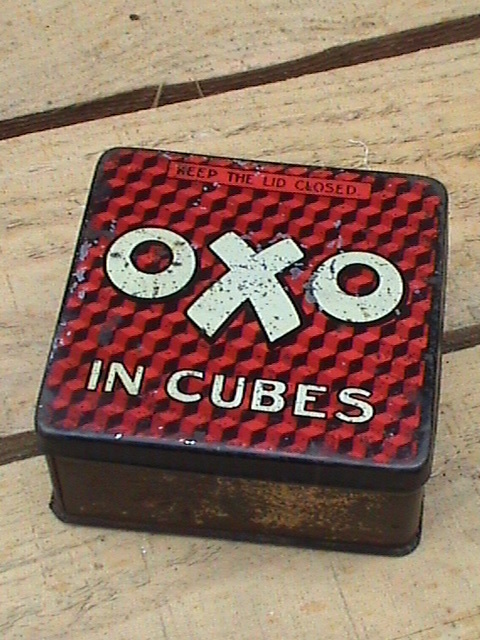 It’s been niggling me for ages – in fact, every time I open up an oxo cube (which is often) – I wonder why they have changed the shape of them? They are still cube shaped of course but the cube now forms a cross as in O X O. 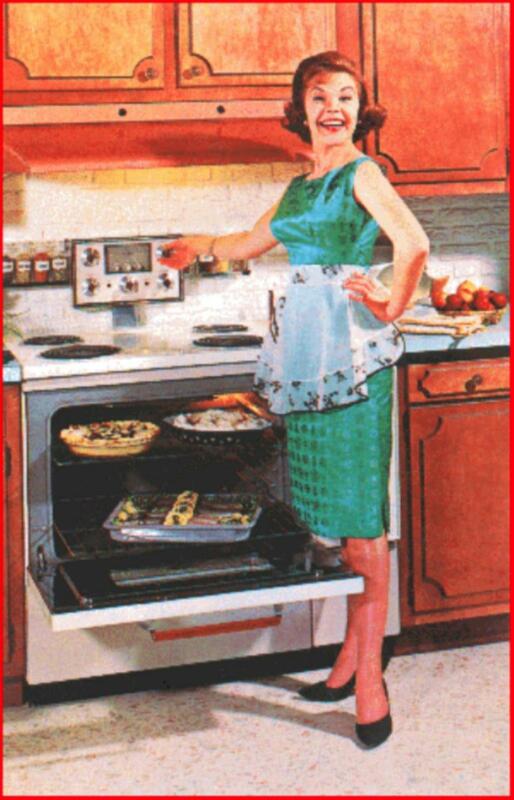 Apparently the notches help the crumble……. This new design came out in September last year, and they seem to be sticking to it. 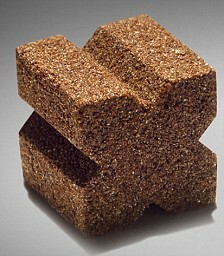 Quite a while ago I noticed that they’d changed the consistancy of the Oxo cube – to a more drier powdery substance. 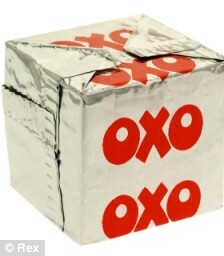 Believe me, there’s nothing more sad than a soggy Oxo cube (except probably me wittering on about them). But seriously, despite the foil wrappers on the old ones, moisture still managed to get into the wrappers and made them soggy. That’s what comes of putting them in a cardboard box. 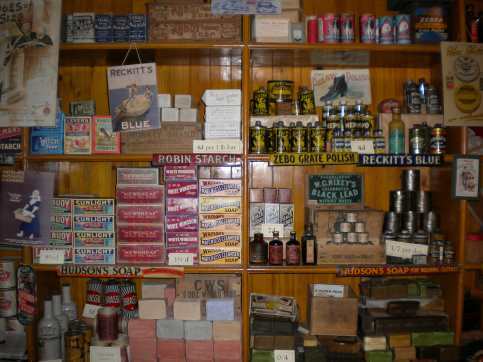 Yes, I know the old tin was impractical in this throwaway society – but I happen to love the old tins and have several of my own. Well, that’s a bit different isn’t it….. 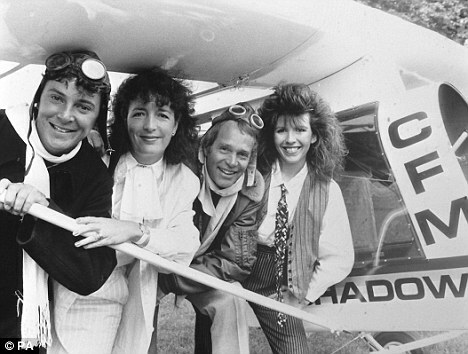 I still remember this one, like it was yesterday (1989 actually) and I’d better not mention the original ‘Katie’ and her husband Philip – they were quite a long time ago. You can watch the original advert with Mary Holland as Katie HERE along with other very old adverts. I LOVE old packaging, I even have some of it. 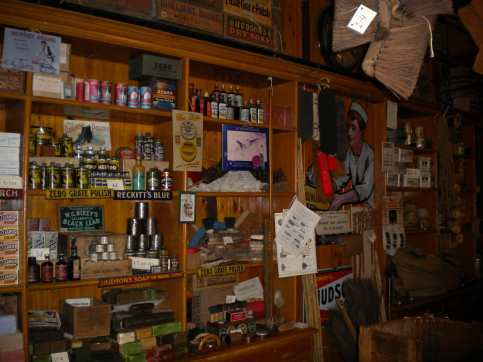 Nothing like Robert Opie’s collection, of which I saw a few years ago when he had his museum at Gloucester docks. 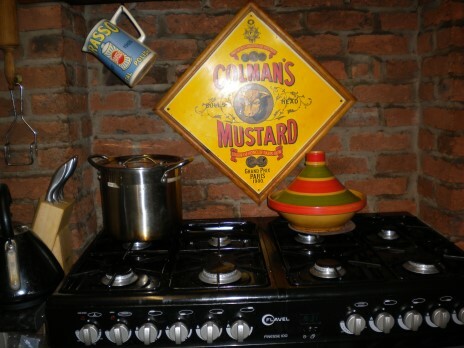 On Flog it, I was amazed at the collection of Marmite pots he had – the earlier ones are an entirely different shape. 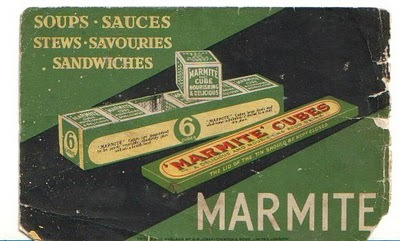 He even had Marmite cubes in a tin. Each cube came in its own separate cardboard box. 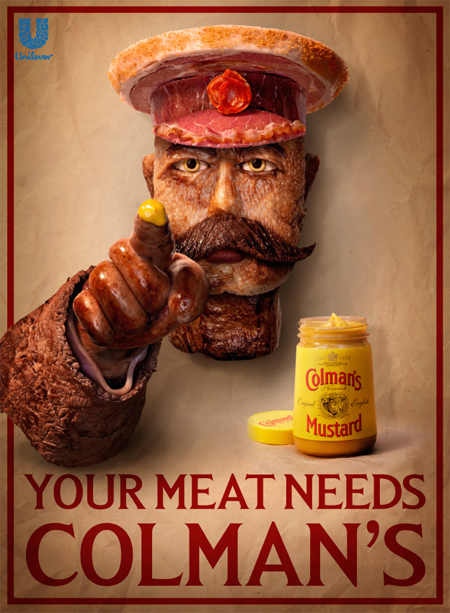 So to continue with the old packaging theme – Colmans mustard! This is my favorite mustard in the world – well nearly…… I quite like that mustard that you can see the mustard seeds in…oh and the one that has honey in it. I have the tin sign over my stove at home. 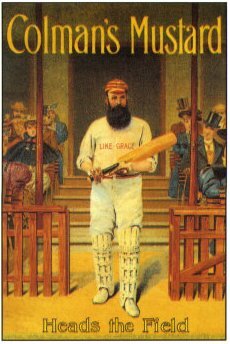 In November last year a new campaign was launched by Karmarama featuring the old 1914 recruitment poster of the Lord Kitchener – so was popular during the war. It was designed by Peta O’ Brien and is made completely from meat! Amongst the 16 types of meats used, including Unilever’s pepperami are Chorizo, roast duck, beef skirt, chicken breast, sausages and Leg of lamb! You big lovely pot you! 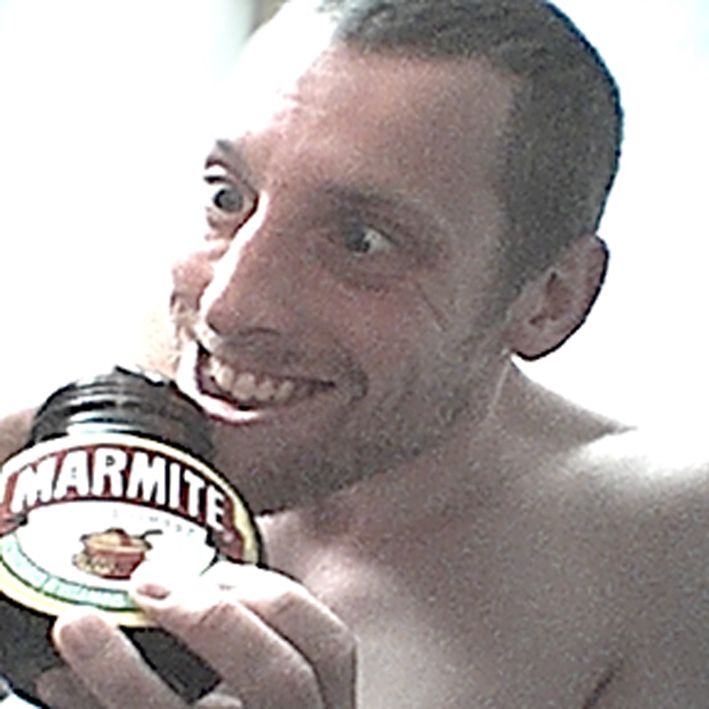 I’m one of those people who actually likes Marmite. 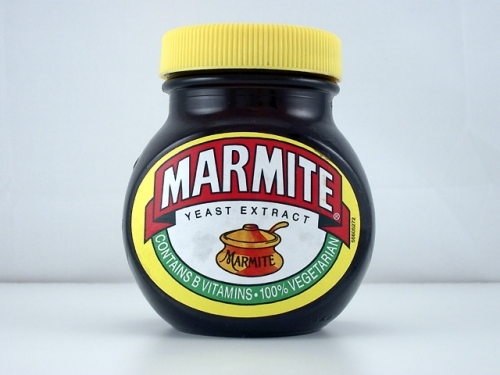 As everyone knows Marmite is made from yeast extract. But what I didn’t know was that the jar has a picture of a ‘Marmite’ pot on it. A marmite (French Marmit) is an earthenware or metal covered cooking pot. 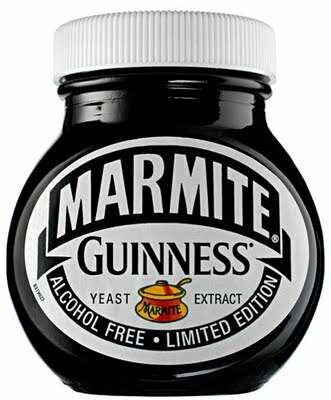 Someone once told me that Marmite was made of what was left when ale had been brewed – the leftover yeast. They said that some was kept and rest was sold on as marmite. Don’t know if this is true though. Yes it is! Just found it in Wikipedia. I think it’s good for you, – well perhaps all the salt isn’t, but I like it spread on toast with cottage cheese over it. Sounds bad eh? Each to his own. Love it? Hate it? why not join the club? When I was out shopping the other day, I was surprised to see a woman put a bag of ‘flying saucers’ into her basket. I didn’t know that they still made these sweets. 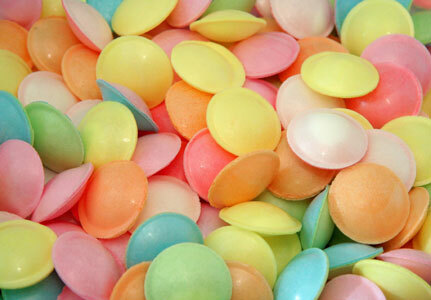 ‘Flying Saucers’ were hollow and filled with a sherbet surprise when you bit into them. They came in different shades of pastel ‘sherbety’ colours. When I was growing up, the most exciting sweets were those which tended to leave a mark of some kind. 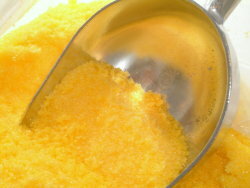 Kali – sticky, sickly yellow crystals which made the fingers turn yellow was a firm favorite of mine. 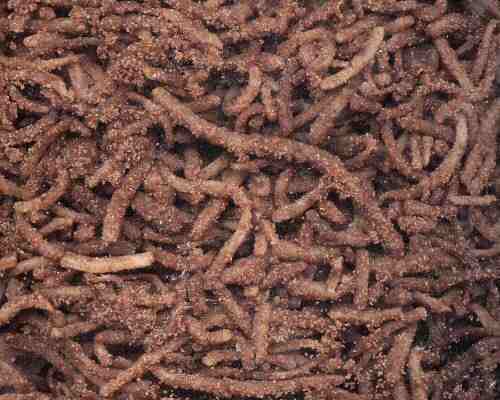 If you didn’t have a liquorice stick you dipped your finger into a bag of this – and sucked (yuck!). Another sweet I used to like, made your tongue go black. ‘Black Jacks’ where something like 4 for a penny, very liqourice and morish. ‘Fruit Salad’ which had never even seen a fruit was also a jaw tingler – and you got 4 for a penny. 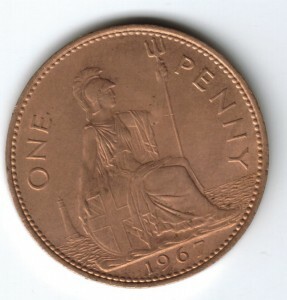 A lot of these ‘penny chews’ are making a come back, Some didn’t really disappear. None cost a penny now, and the ones I am now going to mention, never did. When you are young you will eat anything sweet (the more sickly the better). But where these sweets good for us? A lot of them, besides rotting your teeth were a bit dangerous. This doesn’t matter so much these days, as the retro sweet is now a bit of a treat to be taken from time to time. But not so long ago, we were eating these sugary sweets every day of our lives and handing our hot little pennies over the sweet counter. Sweet tobacco, shredded to look like real tobacco was I think probably made of coconut. Did it encourage children to chew tobacco though – probably not, as you didn’t see people doing this in real life or on the TV, apart from the Wild West in a cowboy film, and even then it was usually an old-timer (not a cool image to aspire to when you’re young). 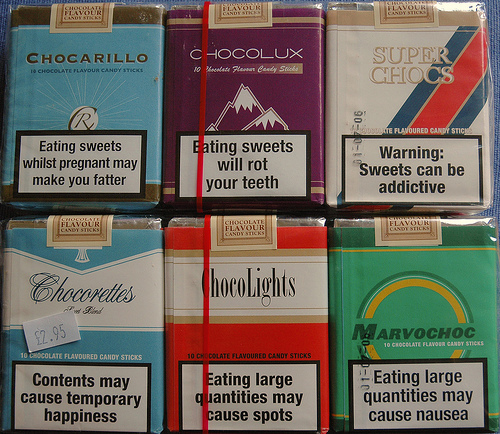 Chocolate cigarettes though, that looked very realistic were another matter though as smoking was everywhere and considered ‘cool’. It was nothing to see children with these in their mouths, mimicking the adults. 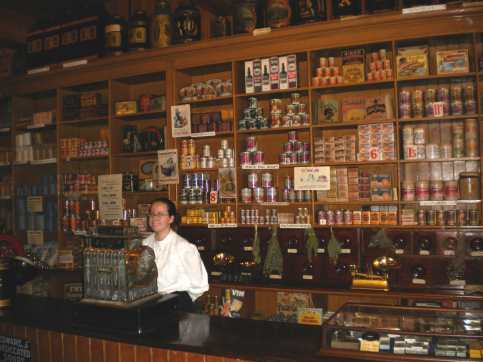 Chocolate liqueurs, the ones in little chocolate bottles could also be bought by children. 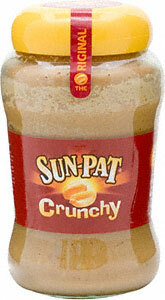 My sister used to love these – they had real liqueur in them too and are still seen in the shops. Smarties which every child loved have had to withdraw some of their colours – the blue ones in particular because they have been linked with hyperactivity. More colours being axed include Brilliant Blue (E133); Quinoline Yellow (E104); Sunset Yellow (E110); Ponceau 4R (E124); and Carmoisine (E122). 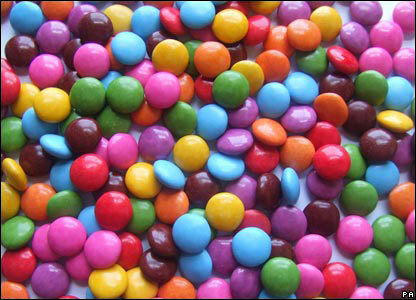 Read more about the Smartie colours HERE: Vegetarians were also offended by the red ones, as the dye was found to come from crushed beetles. 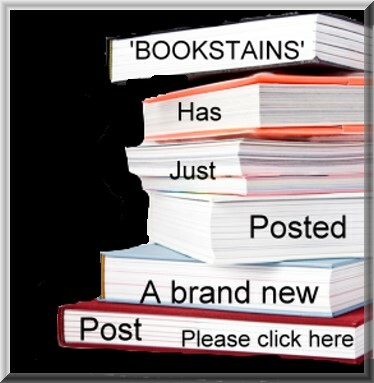 The first proper post not going on about Christmas OR New Year (sort of). The first proper post of the ‘Twenty Tentys’ as this decade is now being called. It doesn’t sound very space age does it? I’m sure by now we should be astral travelling at the speed of light and eating a good square compressed astronaut meals (according to the old programme ‘Tomorrows World’. And what happened to the car that parked itself? as seen on the clip. Another promise that failed to deliver. 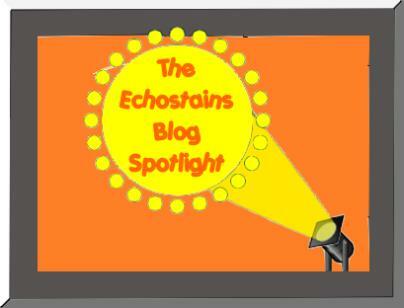 The ‘Dirty Thirties; (the Great Depression), fear and hunger. The er, well just forties but probably too depressed to name the decade that contained the Second World War . Important one, none the less as millions lost and gave their lives. All I remember about the Seventies is the strikes and having to walk home from work every night because the buses weren’t running. Having to put make up on by candle light because of the power cuts and hardly anything worth listening to on the juke box. 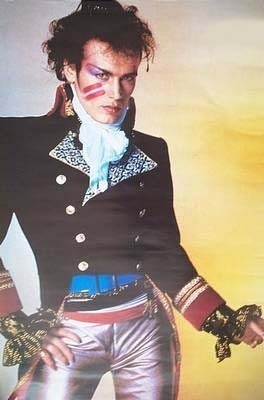 The Eighties? a lot a good stuff happened to me in that romantic decade, even the bands are now having reunions! 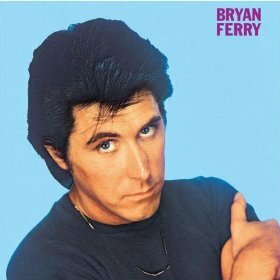 The ‘Nineties (abysmal decade for me, but was it ‘all that?’ then the Noughties, which turned out a lot better than I thought. But did we really laugh all the way through them? I just can’t be bothered to write about them all in detail. I don’t actually remember quite a few of them!. But looking at them laid out, I do think I’ve seen rather too many! 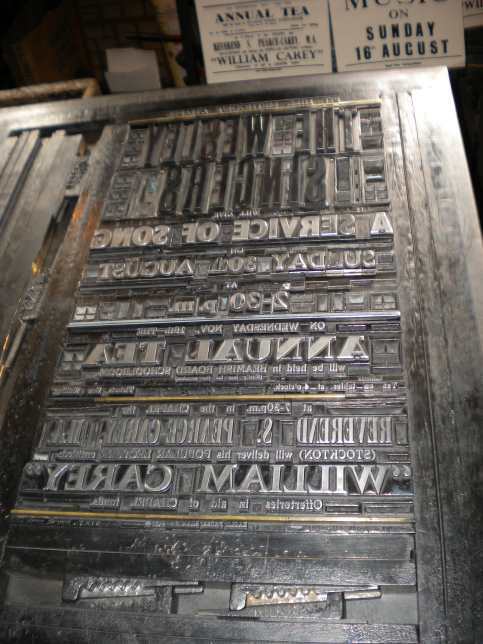 But You’re a long time dead, so they say (the dead probably)….So BRING it on and I will try to embrace it. 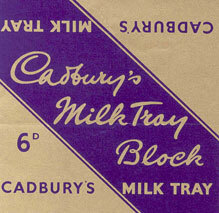 Someone told my daughter the other day that you used to be able to buy Cadbury’s Milk Tray in a block. She didn’t believe them – until she asked me. I used to spend my pocket money on those bars! Apart from Cadbury’s being the most fantastically, gorgeous tasting milk chocolate in the whole wide world, you also got extra chocolate that the individual chocolates were set in! Yummy! great nibbling round those chocolates! Old-Jamaica-1973 and don't ee knock it all back! I wasn’t always loyal to Cadburys though. 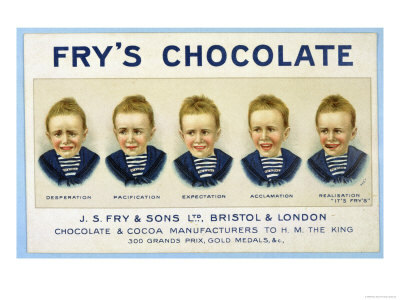 Fry’s ‘Five Boys’ was pretty scrummy and also Fry’s fruit creams (a bar with a different fruit cream centre in every bite). 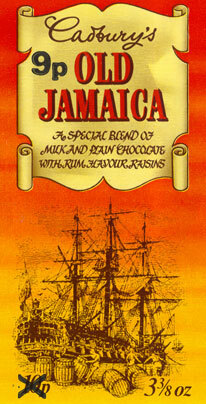 Terry’s also made some lovely dark hard chocolate like ‘Spartan’ …….. so many bars, all gone. Even the taste for them has gone now – just the memory remains.